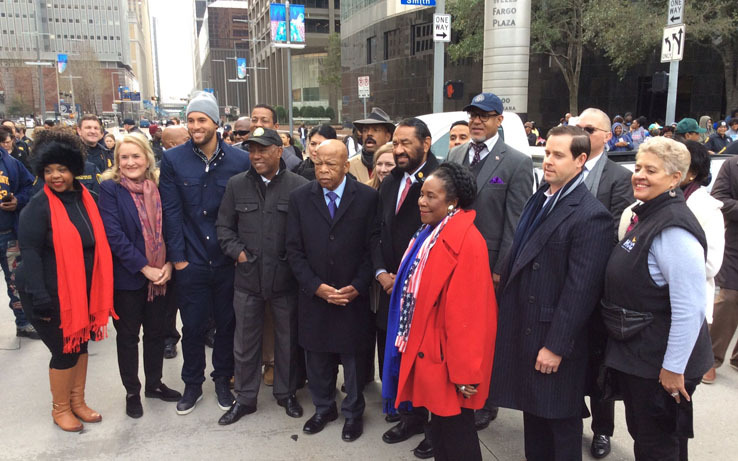 Thousands of Houstonians lined the streets this past Monday to celebrate the life and legacy of Dr. Martin Luther King, Jr.
U.S. Representative John Lewis, who marched and fought for civil rights with Dr. King in the 1960s, along with Houston Astros outfielder George Springer served as the Grand Marshals of the parade. Nationally-recognized performing artist Brian Courtney Wilson performed before the official start of the parade and several local radio stations helped keep parade-goers engaged and entertained, as they waited for the marching bands, themed floats, athletes, entertainers, decorated trucks, dance teams, fancy cars and elected officials to pass by. One touching aspect of the parade included a tree that displayed a chain along its roots in memory of its original founder and pioneer Ovide Duncantell, who had a history of chaining himself to trees or buildings to protest civil rights injustices in Houston. In 1974, Duncantell created and became Founder and Executive Director of the Black Heritage Society Inc., emerging as one of the driving forces behind the parade and the renaming of a major thoroughfare to Martin Luther King, Jr. Boulevard. The street ran through a predominantly African American neighborhood in South Park. Mr. Duncantell’s zeal, persistence and enthusiasm resulted in the mobilization of the community in favor of South Park Boulevard becoming Martin Luther King, Jr. Boulevard. The Reverend Martin Luther (“Daddy”) King, Sr., was so impressed by the Black Heritage Society’s fervent energy and gesture of respect for his deceased son that he made a personal appearance at the Street’s Name Change and served as the Black Heritage Society’s first MLK Parade “Grand Marshal,” on January 21, 1978. The street was christened by a citywide parade down the newly named boulevard. 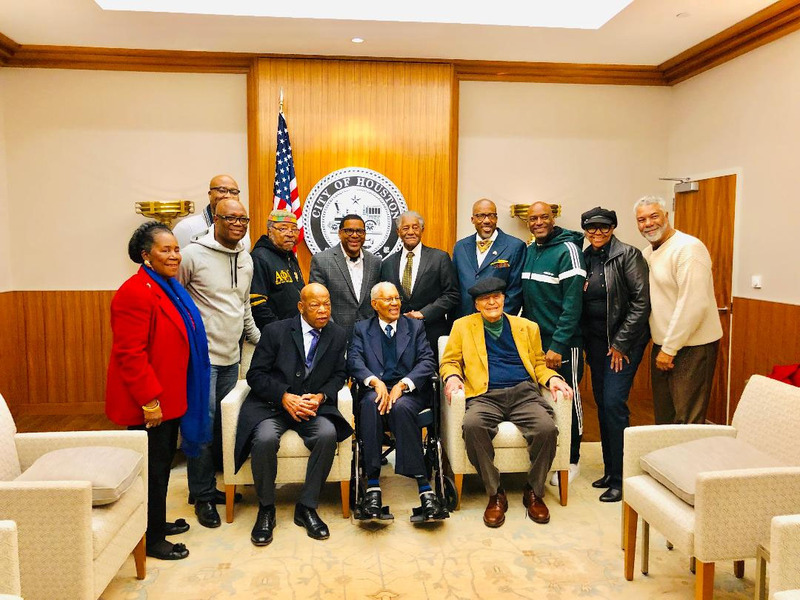 Making a pact and promise to Dr. King’s father, Mr. Duncantell and the Black Heritage Society conducted the annual “Original” MLK Parade in Houston ever since, making it the first MLK parade in the nation. 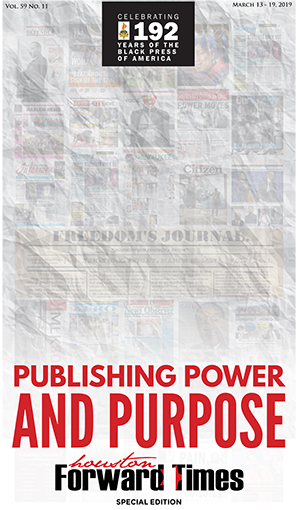 The parade and pre-celebration activities are officially licensed by the King Center’s Intellectual Property Management (“IPM”) of Atlanta, GA. 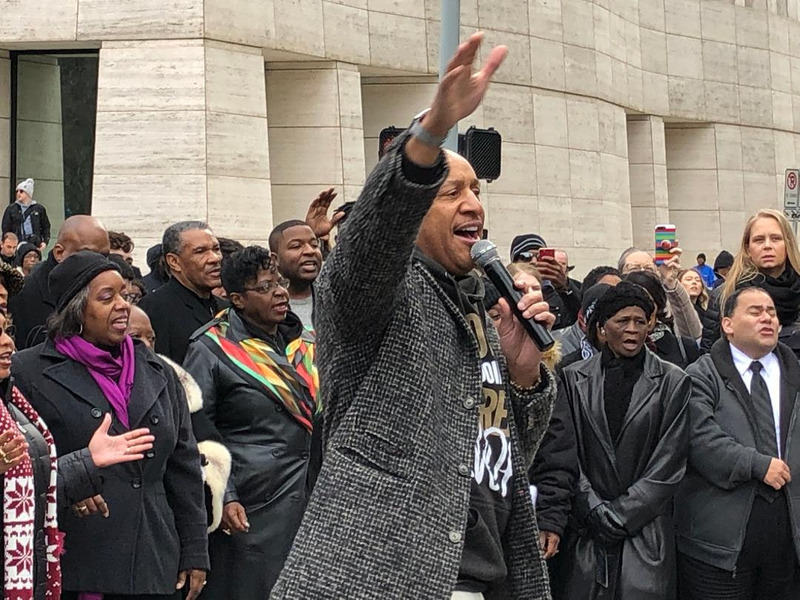 This year’s parade celebration was part of a full weekend of festivities and community service projects with a focus on recognizing the life and legacy of beloved civil rights leader, the late Dr. Martin Luther King, Jr. 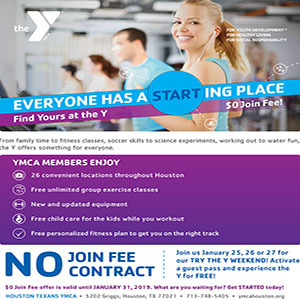 The schedule of activities kicked off on Thursday, January 17, and continued throughout the holiday weekend. The entire celebration showcased a variety of marching bands, decorated floats, dance teams, military and ROTC groups, first responders, city and county officials, VIP guest appearances and notable organizations from around the world. Immediately following the parade, the party moved next door for the 3rd Annual MLK, Jr. Taste of Houston festival, located in lots B and C of Minute Maid Park in Downtown Houston. This year marked the first year that the parade took place without Duncantell. 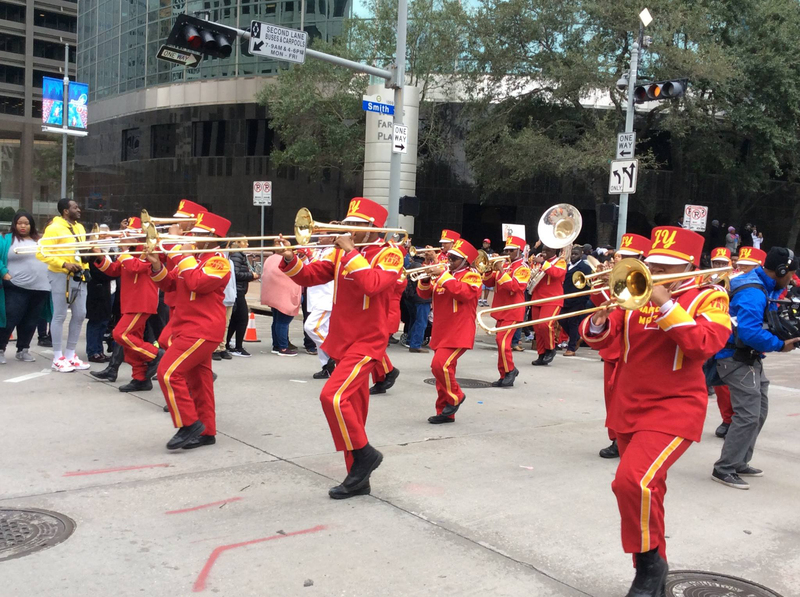 It was also the first year the parade was held with the effort being fully supported by the City of Houston. 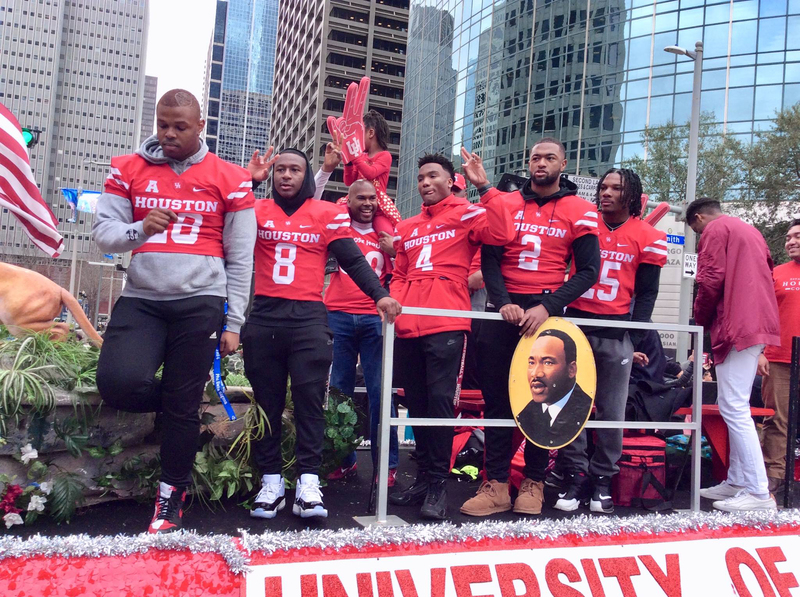 Last year, Mayor Sylvester Turner announced that he was fully supporting The Black Heritage Society’s Martin Luther King Jr. Day Parade as the city of Houston’s “official” MLK Day parade. 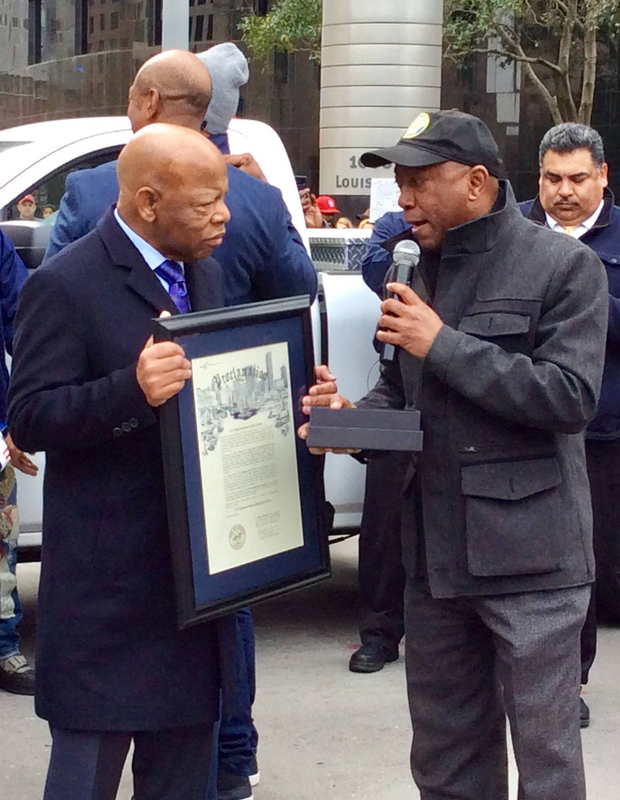 Secondly, the city of Houston lost one of its greatest civil rights icons and the founder of the first parade in the nation to honor the life and legacy of Dr. King – Mr. Ovide Duncantell. 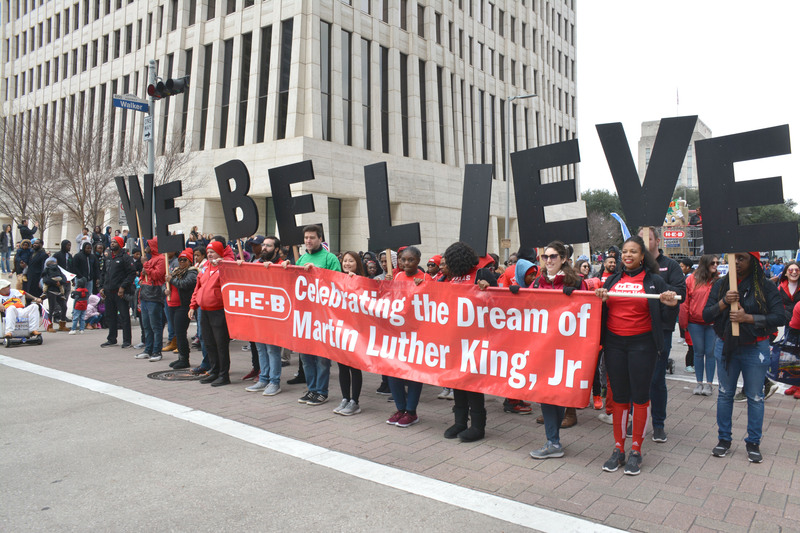 The decision for Turner to call for citizens, sponsors and participants to honor Dr. King’s legacy and unite for one special MLK Day Parade that reflects the diversity and inclusion of the city of Houston came as no surprise to many in the community. Turner made very clear his position several months prior that the city of Houston needed to address the longstanding drama that surrounded having two parades competing with one another less than two miles away from each other – on the same day – at the same time – seeking to honor the same man. For over two decades, the Black Heritage Society’s “Original” MLK, Jr. Parade found itself in competition with the MLK Grande Parade and it resulted in a public spectacle involving everything from accusations to lawsuits. With the parade having such great response this year from across the nation, it is poised to grow even stronger for years to come, with the spirit of Mr. Ovide Duncantell propelling it forward. 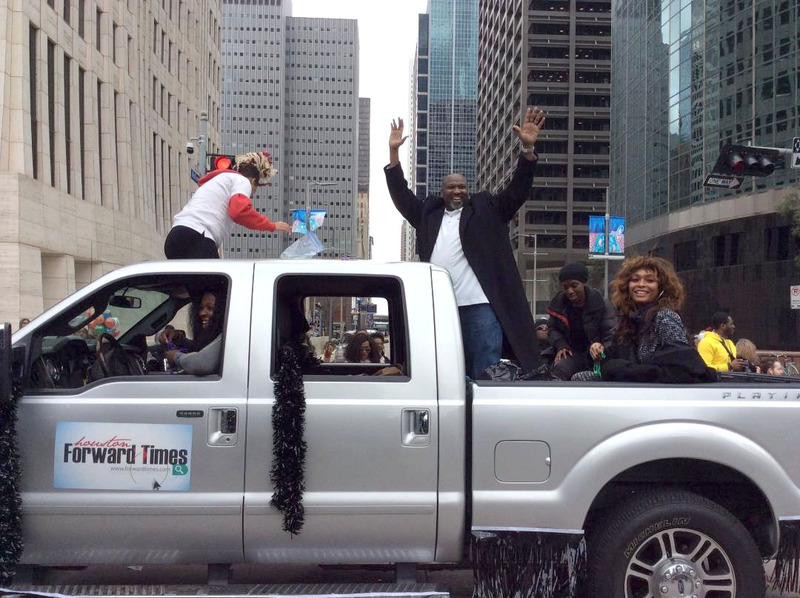 Forward Times Staff participates in MLK parade.